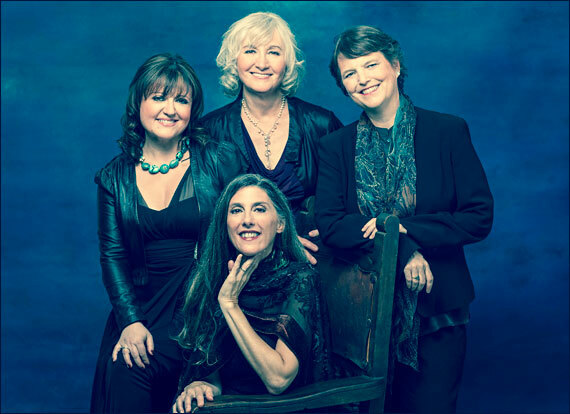 What began in 1986 as a music reading exercise, adapting medieval chant and polyphony to female voices, led four young singers to a sustained commitment to a cappella performance and international success as the vocal ensemble Anonymous 4. From its early interest in sacred music of the 12th and 13th centuries, the group has broadened its research and repertoire to include secular motets and ballate of the early Italian Renaissance, traditional British carols and songs, and American folk and gospel music and shape-note hymnody. They have moved easily from medieval plainchant to modern minimalism; Richard Einhorn, John Tavener, and Steve Reich are among several contemporary composers who have written works for the group. Much admired for the singular beauty and purity of its vocal tone, Anonymous 4 has released more than 20 recordings, won numerous awards, and been listed twice among Billboard’s top classical artists.